Sorry about the lack of posts. I’ve been suuuper busy but i’ve now finished my diploma, which means lots of baking from now on! I’m so glad all the work is over, I put in an awful lot of effort so lets just hope it pays off. Fingers crossed. So. Whoopies?! I’ve often heard of these, yet never really thought much about it until last months Sainsbury’s Magazine, where the whoopie graced the cover. 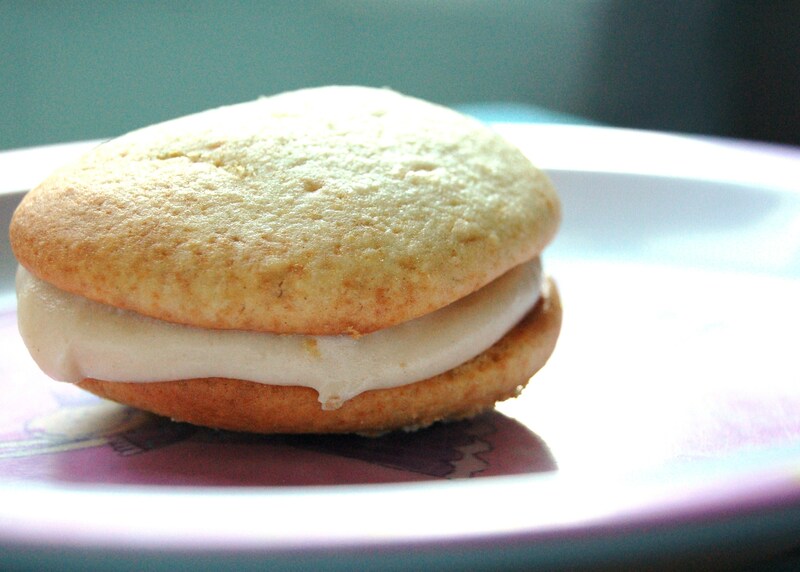 Apparently they were invented by the Amish community, and are named by the children opening up their lunchboxes and exclaiming “Whoopie!” when they see what’s inside. I think thats kinda fun. These are absolutely yummy, and a twist on the cupcake. Also the addition of melted marshmallows in the icing gives it a different texture, in a totally good way. 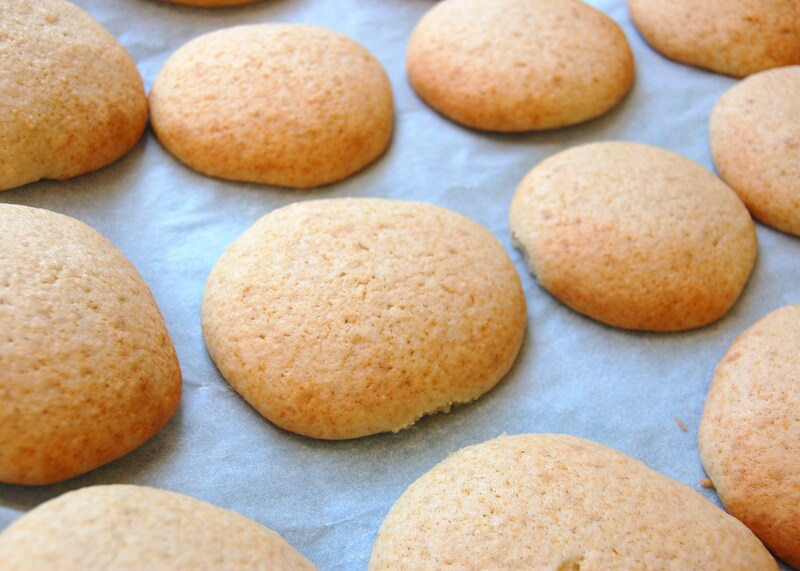 These are easily adaptable; I’ve made almond whoopies with almond extract and ground almond. You could add nuts, chocolate, fruit… much like adapting any cake recipe. 2. Whisk the egg with an electic whisk until light and fluffy. Beat in the sugar a third at a time. 3. Melt the butter and beat this into the egg, along with the soured cream, milk and vanilla. 4. Sift in the bicarbonate of soda and flour and beat until smooth. 5. Using a wide piping nozzle or spoon, pipe/spoon the mixture onto the tray in walnut-sized balls 3/4 cm apart. 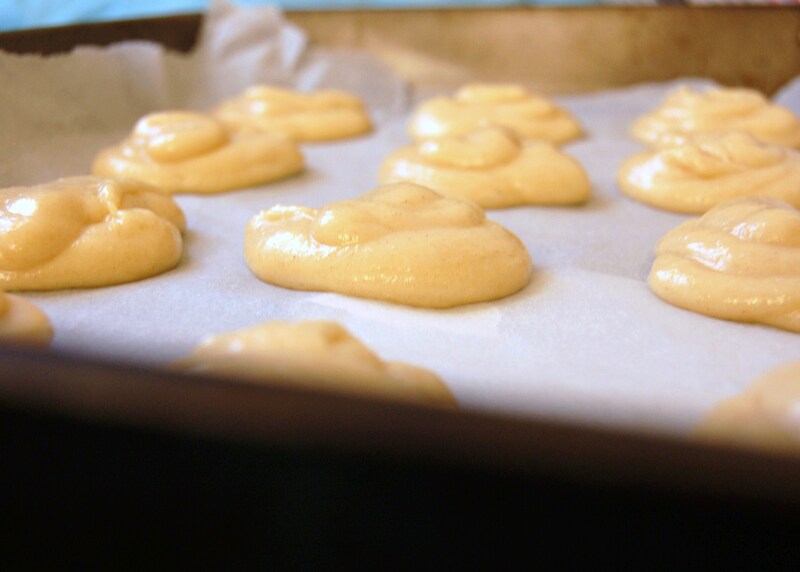 You’ll need to do this in batches or use a couple of trays. 6. Bake for 13-15 minutes and leave to cool. 7. 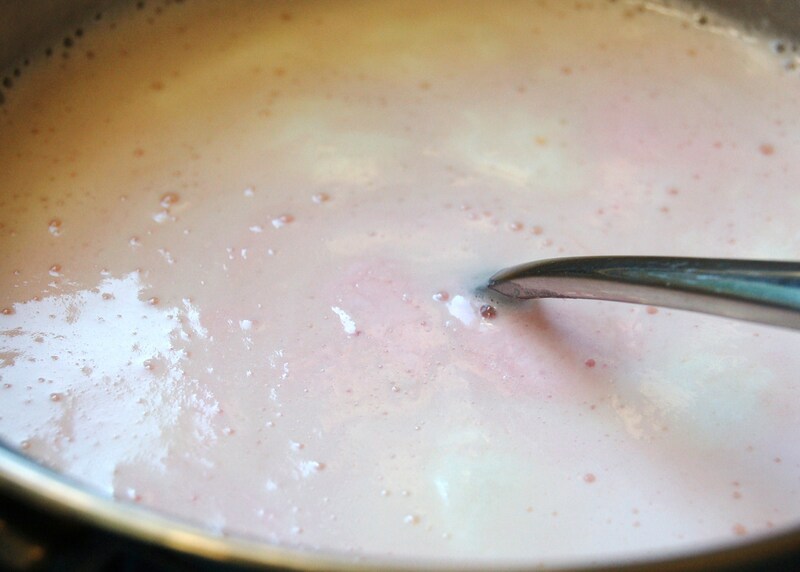 For the marshmallow cream, heat the marshmallows and milk in a saucepan over a low-medium heat, stirring until smooth and then cool. Beat the butter until smooth then add into the mixture, beating until combined. Add any flour here until its thicker. 8. 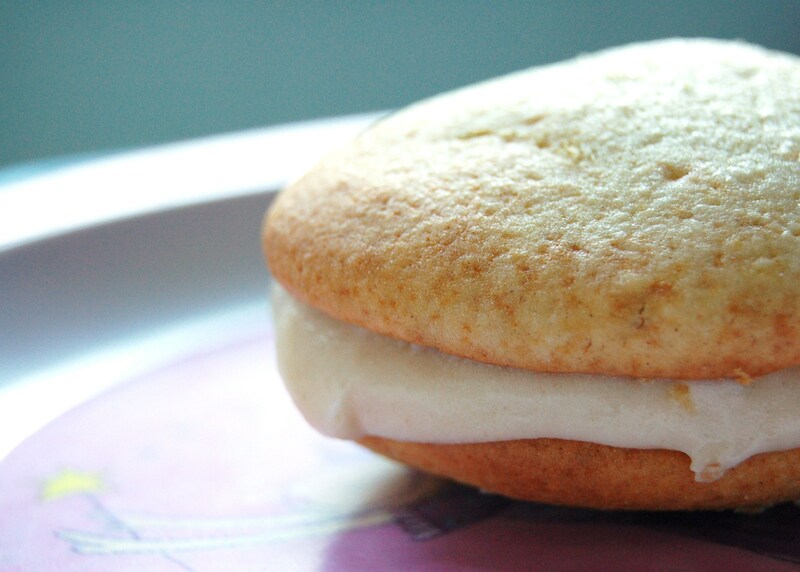 To assemble, get two whoopie cakes and sandwich them together with the marshmallow cream. Decorate how you wish.